Meet Jacinda Ardern, 37, New Zealand's Next Prime Minister : The Two-Way When Ardern was elected Labour leader just 12 weeks ago, her party's polling numbers surged so rapidly it was dubbed "Jacindamania." She'll be the country's youngest prime minister in 150 years. Jacinda Ardern will be the next prime minister of New Zealand. Ardern, who has led the Labour Party for less than three months, spoke at a press conference Thursday at Parliament in Wellington after a coalition government was formed. Canada has Justin Trudeau. France has Emmanuel Macron. But in terms of youth and charisma, New Zealand's next prime minister may have them beat. Meet 37-year-old Jacinda Ardern. She'll be the country's youngest leader in 150 years, and she's the youngest-ever head of the Labour Party. 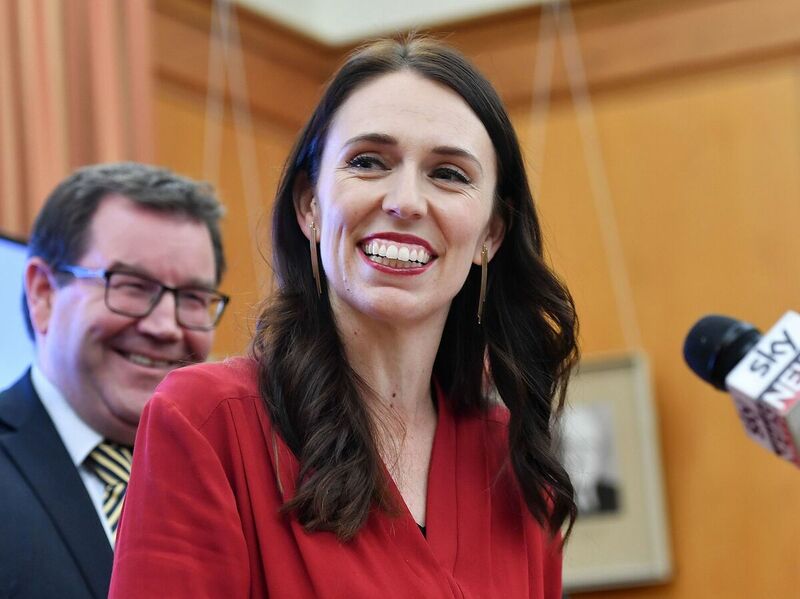 "It is an absolute honor and a privilege to have the ability to form a government for all New Zealanders," she said Thursday. "Labour has always believed that government should be a partner in ensuring an economy that works and delivers for all New Zealanders. We also believe in a government that looks after its environment and ultimately looks after its people. And I believe that Labour has found true allies in Parliament to deliver on that." She was elected the leader of her party less than three months ago. Immediately, her party's poor polling numbers began to climb so rapidly it was dubbed "Jacindamania." Ardern is seen as friendly and direct, as she ran a campaign she said would be defined by "relentless positivity." A former Mormon, she deejays in her spare time, has been known to eat cheese and crackers when there's no time for dinner, and enjoys single-malt whisky. "Labour's policy platform was essentially the same, focused on addressing issues including the housing crisis, child poverty and mental health," one writer opines in The Guardian. "But here was an exemplar of the function of leadership: almost palpably, people began to listen." Among the planks of Ardern's platform: three years of free post-secondary education, free community-based mental health services, and banning of foreign speculators from buying existing homes in New Zealand. Ardern's panache came to international attention when just hours into the job as party leader, she deftly handled questions about whether she plans to have children. She said she was fine answering such queries, since she had previously spoken publically about the topic. "But," she said, "it is totally unacceptable in 2017 to say that women should have to answer that question in the workplace. ... It is a woman's decision about when they choose to have children. It should not predetermine whether or not they are given a job, or have job opportunities." When New Zealand held its election on Sept. 23, the National Party won the most seats — 56 — but not the 61 it needed for a parliamentary majority. The country's leadership hung in the balance until yesterday, when a populist party called New Zealand First decided to join the left bloc with Labour and the Green Party. That put New Zealand First's leader, Winston Peters, in the kingmaker role. The New York Times calls him "famously truculent," while the Guardian goes with "grumpy and magnetic septuagenarian." Peters has been offered the deputy prime minister role in the coalition government. It wasn't at all obvious that Peters would go in with Labour. His party's slogan was "Had enough?" – not a perfect stylistic fit with Labour's "Let's do this." But in the end, Peters said his choice was between "a modified status quo, or for change." The National Party had held power for nine years, and outgoing Prime Minister Bill English said he was disappointed at the outcome. But even he acknowledged Ardern's quick ascent. "That's a fairly remarkable performance given that just 10 or 12 weeks ago she was the deputy leader of a failing opposition," he said, according to The Associated Press.